The classics never go out of style. 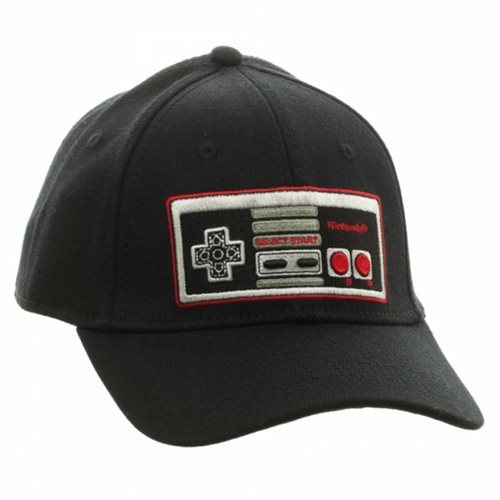 This NES hat is a perfect reminder of a simpler time when controllers didn't have shoulder buttons and when they only codes we needed began and ended with combos of "up-up-down-down". Made of Acrylic Wool and Spandex, this Nintendo Controller Black Flex Hat is flexible to fit most sizes. Care: Hand wash cold, lay flat to dry. Ages 14 and up.